In addition to Brexit developments a slew of central bank meetings will be in focus across the week for global equity markets. Particularly amid a lack of fresh leads regarding the US -China trade dispute. With any meeting between Trump and Jinping Xi firmly pushed back into next month, central bank action, or lack of is expected to dominate. For Asian markets the spotlight will be on the Fed and monitoring its monetary policy which trickles through the system impacting on monetary conditions in the Asia – Pacific region. Asian markets pulled ahead on Monday and the dollar declined after recent soft US data boosted hopes of not only a patient Fed, but a potentially more dovish Fed. US inflation ticked lower in February, manufacturing declined for a second straight month and industrial production figures disappointed. The list of indicators surprising to the downside is steadily increasing, providing further evidence of a sharp slowdown in the US economy at the start of this year. 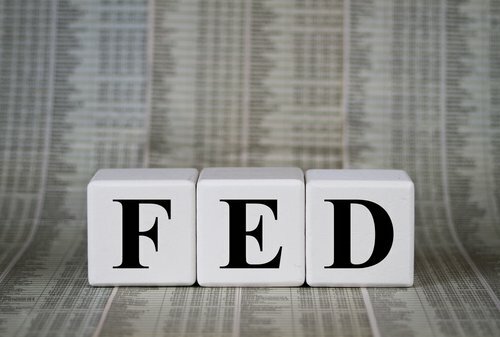 This has prompted talk that the Fed will lower its interest rate forecast to show minimal if any tightening across 2019. Whilst a more dovish Fed is supportive of equities, the dollar declined in early trade on Monday, extending losses from the previous week. The pound was capitalising on the softer dollar, heading back towards $1.33 as it awaits further clarification on Brexit. Theresa May continues to scramble to build support for her Brexit deal, before she puts it before Parliament for a third time this week. Time is of the essence as Theresa May has just 3 days for the vote before heading towards Brussels for the summit on Thursday. At this summit Theresa May will need request and set out her reasons for an extension to Article 50. Theresa May and Chancellor Philip Hammond are ramping up pressure on the Brexiteers with threats of a long delay to Brexit, should they refuse again to back Theresa May’s deal. Fear of a long delay and Brexit potentially not ever happening is forcing Eurosceptics to file behind Theresa May and support her deal, she hopes. The pounds remains supported as the options still on the table lead away from a no deal Brexit. We expect another volatile week for the pound as Brexit uncertainty continues. The Bank of England are also due to make an announcement on monetary policy on Thursday. However, with Brexit clouding their vision and keeping their hands tied, no action is expected. Banking stocks across Europe will be in focus as Germany’s two largest banks Deutsche Bank and Commerzbank announce formal merger talks. The news has ended months of speculation that the 2 struggling banks would try to combine. The German government appears in favour of the merger, which could result in huge cost savings for the banks as both struggle to generate growth. The question that comes to mind is whether combing two struggling banks would just create one larger ‘too big to fail’ struggling bank?